What!? Lilimar and Brec Bassinger are both working on new shows!? Of course they are! 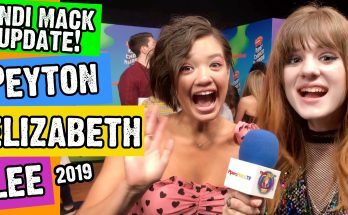 I caught up with these two MeGa-AwEsOmE girlies at Kids Choice Awards 2017. Between “the carpet is closing” announcements, we pulled out a fewww details. Yeah, we did some wardrobe talk too! You all know that Brec moved over from Bella and the Bulldogs to School of Rock where she’s playing Kale. If you haven’t head (which means you haven’t seen this Piper’s Picks episode: https://youtu.be/-XjUg_5ytCE ), Brec has been moonlighting over at Disney Channel! Seriously!? Yes! She filmed a TV movie/pilot with Forever In Your Mind called Forever Boys! The #FIYM boys are playing teen vampires from the 60s who are now in high school, in a boy band, and in modern day times. It sounds a little like JONAS, but with much more of a “bite” to it. Haha! Get it!? Bite!? Ha! (OK, I’m wasting too many bytes on that one. Yeah, I know…🙄). OK, as for Lilimar! There’s a little more secrecy about what she’s been up too! So, let’s see how all that goes down and get into some fashion talk too! Lilimar is always funny and soooo sweet! 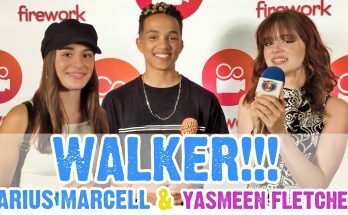 Previous Article Riele Downs and Jace Norman #JAELE ANSWER & Reiya Downs Talks DEGRASSI Info! Next Article Sofia Wylie from Andi Mack Goes to Sing and WHAT Happens!?! ?